This is another lovely yancha from The Tea Gallery. The dry leaf smells soft, with a nice balance of caramel and tangy florals. 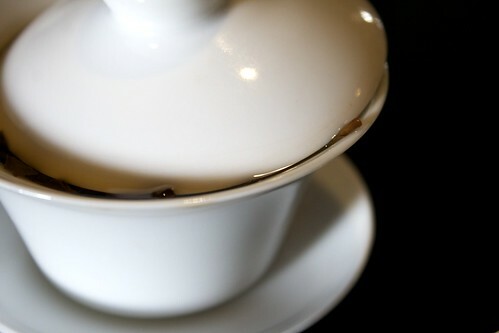 The first few infusions show a strong yancha mineral base, as well as a nice cocoa/roast flavor. The tangy florals are quiet at first but linger, then bloom into a sweet, cool aftertaste. A caramel sweetness dominates once the flavor of later brews tapers off, until it ultimately fades. This isn't a powerhouse of upfront flavor, but that's alright— the solid aftertaste and approachable mineral character make for a graceful, youthful tea.